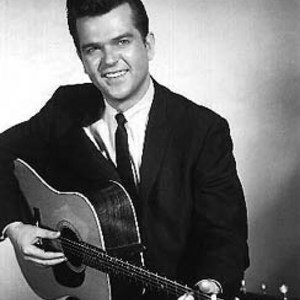 Conway Twitty (1 September 1933 ? 5 June 1993), born Harold Lloyd Jenkins, was one of the United States' most successful artists of the 20th century. Twitty had the most singles (55) reach Number 1 on various national music charts. Conway Twitty's across the board totals were greater than that of Elvis Presley, Frank Sinatra, the Beatles, and Garth Brooks. Most notably known as a country music singer, Twitty also enjoyed success in early Rock and Roll, R&B, and Pop music (among other genres). He teamed up with Loretta Lynn to form one of country music's most successful business partnerships. Origin of Jenkins Stage Name--------- Jenkins felt that his real name wasn't marketable, and he changed his show business name in 1957. (Harold Lloyd Jenkins would always remain his legal name, however). Looking at a road map, he spotted Conway, Arkansas and Twitty, Texas. Thus, he went with the professional name of "Conway Twitty".